First and foremost, we love what we do! Rocky Mountain Audio/Video Productions, Inc is a full service audio / video production company, located in Littleton (SW Denver) Colorado. Established in 1982, we have provided award winning professional video services to broadcasters, corporations, government, ad agencies, non profits, and many other associations. We pride ourselves in producing programs that communicate your message with impact and effectiveness. Rocky Mountain Audio/Video Productions, Inc. can provide complete turnkey solutions, or work with you "a la carte" with just a specific service. Our services include all aspects of video production: video studio rentals, in studio or on location production, post production editing, voice over audio studio, streaming media for the web, video and film transfer services, and disc authoring. Our video production capabilities include everything from High Definition acquisition through post production editing. We are very mindful of our clients budgets and always strive to work within our clients parameters. 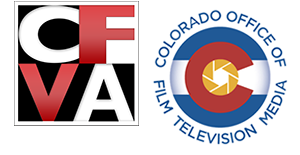 We have many clients right here in Colorado, but also work with clients and producers from all over the nation and world. Our staff is very experienced producing a wide variety or programs and always make that extra effort to ensure your experience with us is great! Below is a list of some of the types of videos we've done, and please visit out our Video Production page to see more. We would love to help you. Give us a call to talk about your video or audio needs!